November 28, 2016 - Like us now! Karandaaz Pakistan, a non profit organization working for financial inclusion of individuals and small businesses, yesterday, organized its first ever Fintech Disrupt Challenge. The competition encouraged startups to tackle financial challenges by presenting products and services specifically relating to the domains of payments, financing, insurance, savings, and investments. 28 startups presented their products in an elevator pitch style within 2 minutes each. A young startup founder, Miriam Mehdi, presented her startup Galla for organizing smart digital committees. Another startup, eZavia, presented its product which utilizes WhatsApp, Facebook Messenger and Skype for transfer of money from one point to another. 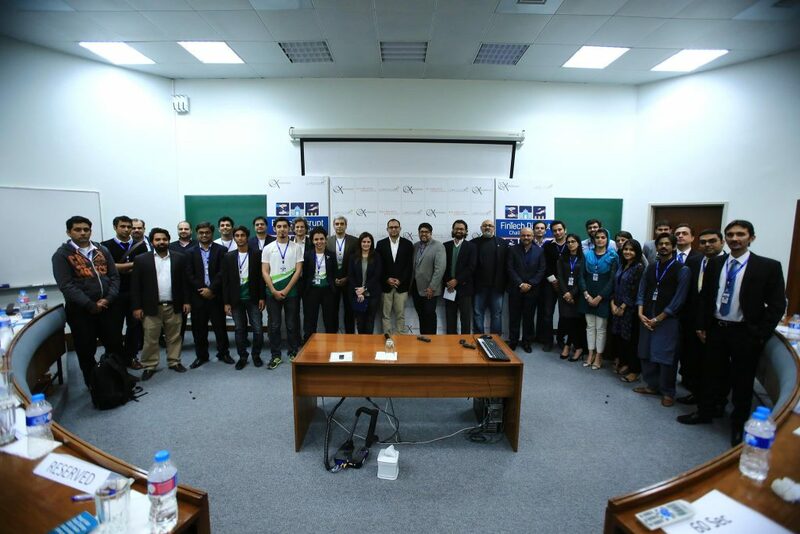 6 judges, Romana Abdullah, Asad Azfar, Amaar Ikhlaas, Yasser Bashir, Naeem Zamindar, and Mohsin Termezy, shortlisted 3 winnings startups after a long and grueling session of judging 10 startups pitch their products in 10 minutes each. Paysys, Publishex, and Ricult were named as the winners. Paysys provides reliable and secure technology platforms that enable Banks, Telcos and Businesses to offer their customers a vast array of payment types, across multiple channels, anywhere at any time. Publishex allows integration of over 100m mobile subscribers to make payments online without requiring a bank account, credit card or having to go to carrier specific mobile wallets. Ricult allows farmers to connect with online buyers and sell their produce at relatively better rates. It also allows farmers to take loans that can help them advance their farming and make them more financially stable. In addition to receiving grants, the startups will also get ample support and mentorship from Karandaaz and its network. The competition was devised on the lines of internationally acclaimed Disrupt Challenge.